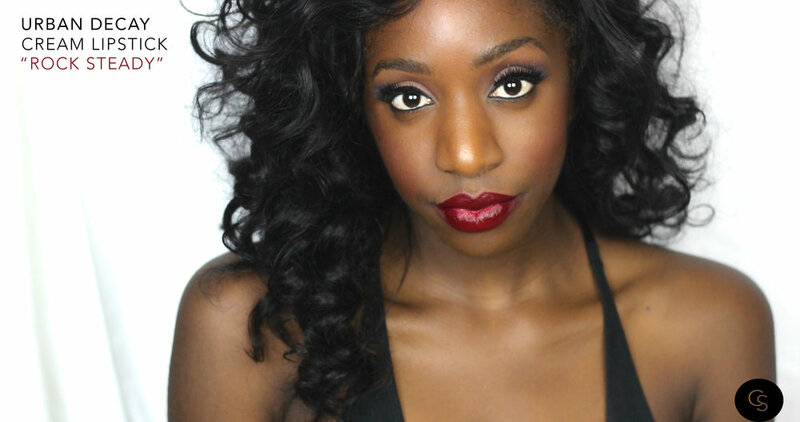 Cream: deep wine red ; Get unbelievable laydown of color with just one swipe of Vice Lipstick. Each shade applies smoothly (without dragging or skipping), hugs lips, and feels ultra-comfortable. Urban Decay’s proprietary Pigment Infusion System™ gives the formula its super-creamy texture, rich payout, and superior color dispersion. This creamy formula is packed with nourishing ingredients. A butter blend comforts, hydrates, and enhances, leaving lips soft and conditioned, and never dry. Aloe vera, jojoba, avocado, and babassu oils nourish and soften lips. Illipe butter, derived from Malaysian illipe trees, provides long-lasting moisture, while the vitamins C and E deliver a hint of antioxidants. 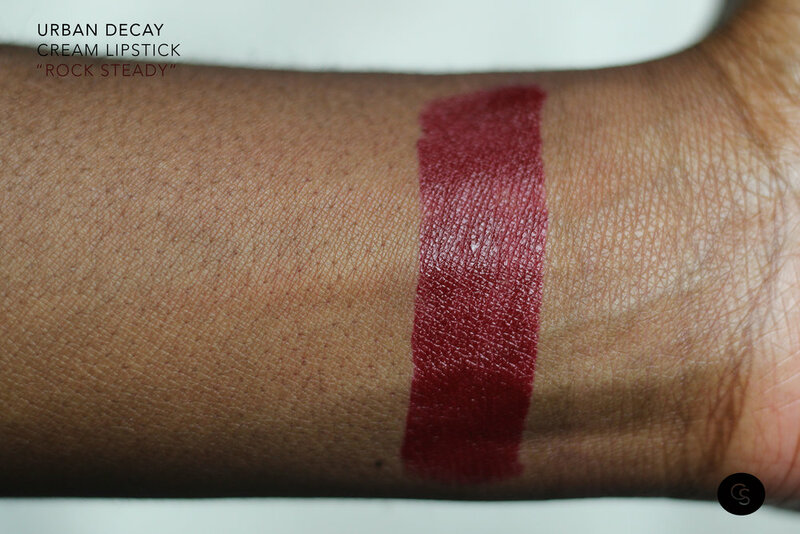 Rock Steady is a gorgeous wine colored lippie that is very pigmented and applies smoothly.